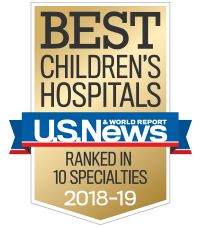 Physicians across the state and beyond turn to Children’s for specialized patient care, consultation, educational opportunities, and other resources and support. Your convenience and your patients’ well-being are our top priorities. Our tools and services help make it easier to stay informed and effective and to access our specialized expertise and technology. We want every interaction with you or your patients to be positive and productive. For additional forms and resources, choose from the list of specialties and clinics below. Ensuring a smooth and convenient experience for you and safe, effective care for your patient is our professional and personal commitment. The link below provides tools and information to help you. Children’s recognizes that sometimes complex navigation is needed to access healthcare services, and by using this easy-to-remember phone number, physicians can connect to anyone or any service within our organization. 404-785-DOCS is staffed 24 hours a day, seven days a week by a team of experienced Children’s representatives who will promptly answer your call, evaluate your needs, provide the services requested or route you to the appropriate area. Reach a patient, employee or department at Children’s. Schedule a patient appointment or ancillary test. Refer a patient to a Children’s Physician Group practice. Speak to a Children’s Physician Group provider during business hours through our physician to physician service. Physician to Physician is a service offering through 404-785-DOCS (3627). The goal of this service is to provide you with improved access to our Children’s Physician Group practices during business hours. A designated provider (physician or fellow) for each Children’s Physician Group practice will be available from 8 a.m. to 5 p.m., Monday to Friday, excluding holidays, to respond to your clinical inquiry. These resources can help ease the transition to ICD-10 codes. Children’s offers programs and services to better serve you and your young patients.